Tight bearing on a hard shaft? No amount of lube will do the job? The sledge hammer and heat combo in full swing, but still no sign of release…… give us a call now. We have a range of 2 and 3 jaw screw type and hydraulic pullers to do the job. 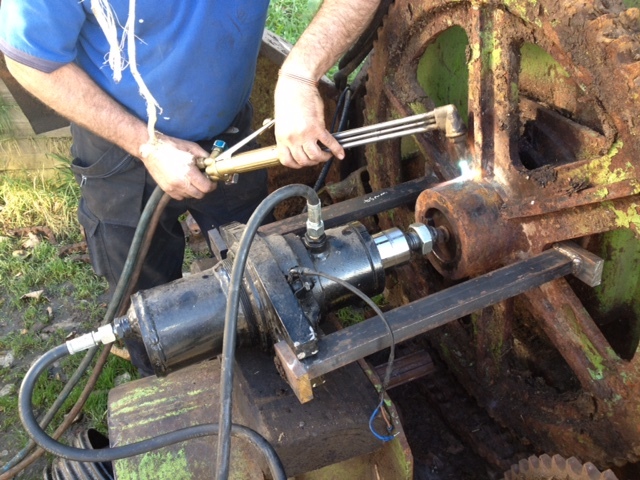 For the larger task, we use ‘Big Bertha’, an in-house fabricated mobile hydraulic puller with some serious guts. This can be used on-site taking hydraulic power from either Land Rover. From past experience we know this will save huge amounts of time, sweat and foul language!